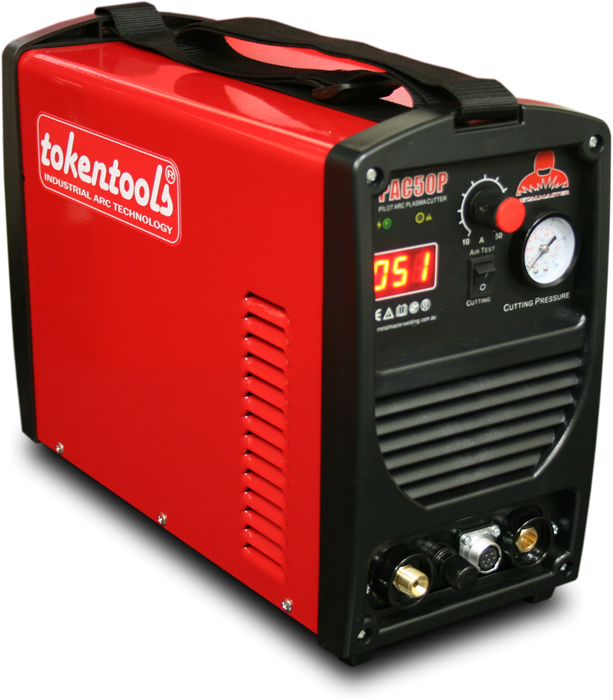 Further development, re-engineering and fussy insistence by the engineers at Tokentools has delivered another winner. Today we introduce our enhanced pilot arc plasma cutter, the PAC50P. Pilot arc functionality provides compatibility with CNC cutting tables, our 5 year parts and labour warranty gives peace of mind. The Metalmaster PAC50P pilot arc plasma cutter will suit both the hand held hobbyist and budding CNC entrepreneur. Easy to use features, a pilot arc cutting flame, inverter power source add up to make this one heck of a desirable product. Contact the staff at Tokentools today on 1300 881 991 and get this powerful product into your shed today.